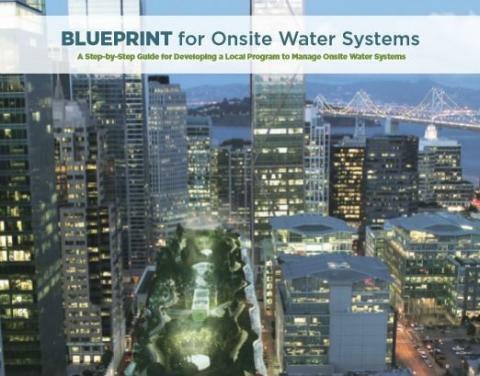 The National Blue Ribbon Commission advances best management practices to support the use of onsite non-potable water systems within individual buildings or at the local scale. We are committed to protecting public health and the environment, and sustainably managing water—now and for future generations. Water supplies are strained, climates and weather patterns are changing, and populations are moving and growing. The US Water Alliance has partnered with the Water Research Foundation to establish the National Blue Ribbon Commission for Onsite Non-potable Water Systems to progress innovative solutions for One Water management. Onsite water systems collect wastewater, stormwater, rainwater, and more, and treat it so that it can be reused in a building, or at the local scale for non-potable needs such as irrigation, toilet flushing, and cooling. These systems are usually integrated into the city’s larger water and wastewater system and contribute to a more resilient and sustainable water management by using alternate water sources, reducing valuable potable water used for non-potable purposes, and minimizing strain on wastewater systems. Serve as a forum for collaboration and knowledge exchange. As the field of onsite non-potable water systems is evolving, the commission is committed to staying abreast of new science and new approaches. We are inclusive of input from interested stakeholders as we learn together and share policy approaches, best management practices, and standards for onsite non-potable systems. Craft guidance and frameworks for ONWS regulation. To foster a policy and regulatory environment that supports implementation of onsite non-potable water programs, the commission will develop guidance and model policies that establish a framework for water quality criteria, monitoring and reporting requirements, and operational and permitting strategies that are based on risk-based science and honor local context. Develop case making resources for water utilities based on best practices and lessons learned in the design, development, integration, and operation of ONWS. Successful onsite non-potable water systems rely on a strong and supportive utility partner. We will capture promising strategies and lessons learned to demonstrate how utilities can use ONWS to meet their One Water goals. Identify additional research needs in the field. The commission will identify and develop a research agenda to further advance the field of onsite non-potable water systems.